Outlandish claims are not few and far between in the beauty industry—every product boasts better and quicker results than the last. However, when a seasoned facialist like Georgia Louise (with celebrity clients including Jennifer Aniston, Gwyneth Paltrow, and Anna Wintour, to name a few…) invites you to her uptown atelier and promises to lift and sculpt your face in minutes, you jump in a cab immediately. So jump I did, with my iPhone camera in tow to document the entire thing. Her facial treatments are designed to naturally and instantly lift cheekbones and brows, de-puff and brighten the face, and soften fine lines and wrinkles without the need for Botox or fillers. It’s no wonder that Georgia Louise has supermodels, photographers, and editors flocking to her treatment rooms. Her technique and muscle massage have been perfected over 15 years, but now she’s showing us how to do it all at home. Truth be told, I’ve given myself this facial three times since I left that cozy room filled with candles and drenched in natural light. Keep scrolling for exactly how you can join in on the fun (and incredible skin benefits) of Georgia Louise’s own Butterfly Stone Facial. Apply two pumps of serum into your palm and warm it between your hands. Smooth the product all over your face (make sure you’ve cleansed! ), neck, and décolletage, taking care to avoid your eye area. Georgia Louise mentions that your skin will absorb as much as it needs, so if you find that you need to apply more to keep your skin slippery, feel free. In this case, the more the merrier. She used Elemis’s Pro-Collagen Quartz Lift Serum ($177), as it stimulates cell renewal and supports cell structure. It contains pure, concentrated Padina pavonica, which is said to help strengthen the protective layer of the epidermis, leaving your skin looking younger and smoother each time you use it. Georgia Louise created the Lift + Sculpt Butterfly Stone ($75) to help you re-create her massaging techniques at home. Each groove in the rose quartz is made specifically to fit the different corners and angles of your face. By using the contours of the stone, you can massage and sculpt your jawline and cheekbones as well as drain away puffiness from under your eyes. It even helps to decrease fine lines and wrinkles. Georgia Louise explains: “Essentially, the massage helps to relax muscle and muscle tension and thus decrease and plump fine lines and wrinkles. Apply a pea-size amount of daytime moisturizer into your hands and warm it up with your palms. Gently smooth the product over your face, neck, and décolletage. 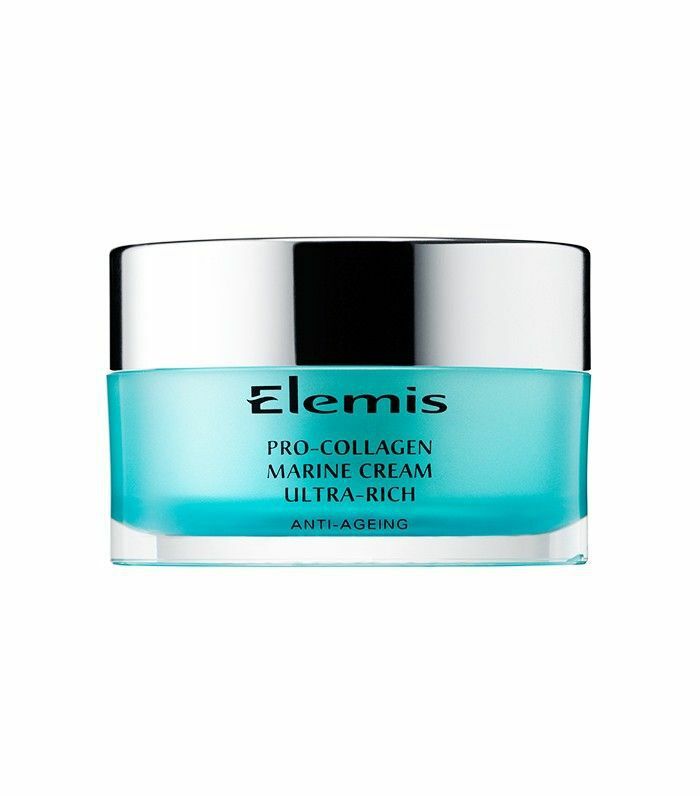 For this particular facial, Georgia Louise went with Elemis’s Pro-Collagen Marine Cream ($128) as it has been clinically proven to reduce the depth of wrinkles as well as improve firmness and hydration in just 15 days of use. For a step-by-step guide (and tons of helpful instruction) from Georgia Louise herself, check out the full video below. Would you try this at home? Let us know in the comments below!